I'm always on the look out for cute cards i love being able to find ones that are different from what you can find in your average card store, so after a browse on twitter i came across Snappy crocodile they sell cards every possible occasion and as mothers day is round the corner i thought what better time to stock up! I love this card i bought it for my sisters birthday! This one is for my mum for mothers day i think its adorable! I got this as an extra random one for when someone needs a little cheering up! I got this one for my dads birthday in May i'm hoping he see's the funny side! 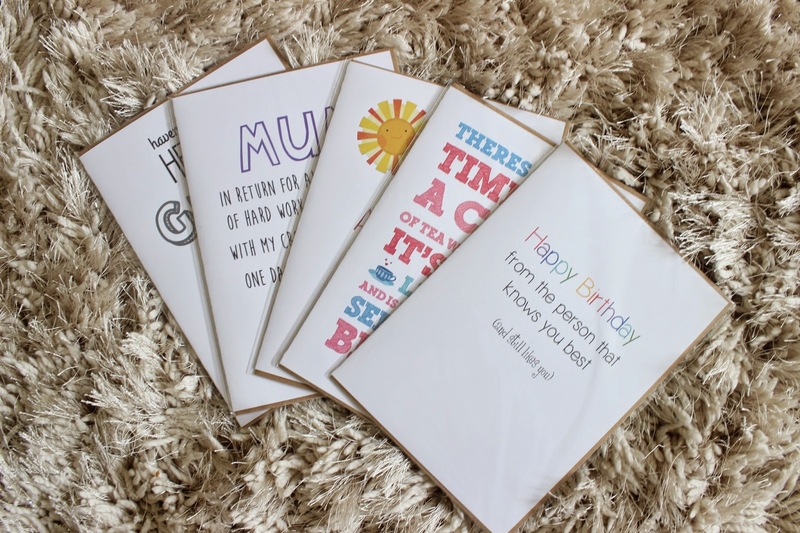 I got all five cards for £10 from snappy crocodile which i think is a bargain! Make sure you order before the 20th March when they will be closed for a month! Those cards are so cute and 5 for £10 is a great price - especially when you consider that paperchase charge around £3 a card. Oh these cards are so cute! Visually appealing typographical stuff is a weakness of mine, and I think I'm definitely going to be getting my hands on some of these. Always good to have a stash of cards for all occasions! Aww these are so cute. The cards on the high street always seem to be the same! Oh wow what cute cards! I saw this post last week and went to the website straight away to buy some! And I have to say, they're amazing! So many nice designs and the delivery was so quick! Great quality too! Thanks so much for sharing!